Question: What exactly is the goal of RADARSAT Constellation Mission (RCM)? 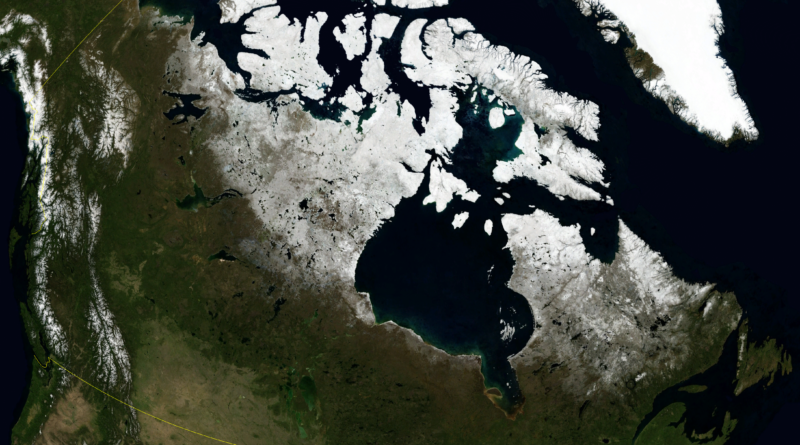 Answer: The goal of RADARSAT is to produce images of the Earth, especially over Canada. We need that information because, as you know, we have a very large country. It’s the second largest in the world with the longest coastline that we also need to monitor, and it is very difficult to do either by aircraft. So, we need a tool that can deliver information for us. This could be used for natural resource management, but also for security reasons, such as to monitor our borders. We have had radar satellites since 1995, especially to monitor the ice in the North, but it’s become a broader range of functions with time. Now, we have plenty of applications for the data. The main intention of the RADARSAT Constellation Mission that will be launched later this year is to ensure a continuity of all the data that we provided since 1995. We don’t want any cuts in the data delivery, especially to the federal departments who provide services to Canadians. Q: Where did the idea for RADARSAT come from? A: We basically had the requirements to monitor the ice and the icebergs for the ships to provide their material and cargo. We have a period of the year where it is in the dark and we don’t have any Sun, so it’s difficult to take an image with an optical system, in addition to a lot of cloud coverage over Canada. So with time, we found out that radar is the most optimal technology that we can use that could benefit Canada. So, we invested in that. We started with a payload on an aircraft to validate if the information was okay; we worked with the European Space Agency on the ERS mission, and after that we decided that we should have our own system which starts with RADARSAT 1. It was launched in 1995. Q: A lot of the RCM work is to monitor Canada and help it function. Is there a scientific side to RADARSAT? A: We work with our colleagues from different departments, but also with universities. Not only in Canada, but everywhere in the world. At the time of RADARSAT 1, there was a program to promote the usage of RADARSAT 1 data. There was a big promotion of that, so we have a bunch of universities using RADARSAT all around the world to explore what we can do with the data and bring the information a step further. In essence, yes, there is a science component! I must say that RCM is more of an operational system. Even if there is more of a science component, it’s mostly to deliver operational services for Canadians. Q: How did you come to be involved with RCM? Is this your first mission? A: In fact, I’m involved since RADARSAT 1. The funny thing is that when I started my Master’s at university, it was the time of the launch of RADARSAT 1. So, I started to work with RADARSAT 1 data. After that, I joined the CSA. I worked on the mission planning of RADARSAT 1 and when RADARSAT 2 come along, I started to work on RADARSAT 2. In 2010, I was appointed as the mission manager for the RCM based on my experience, knowledge and all the mission I worked on for previous RADARSATs. Q: So RADARSAT started eight years ago? A: The first one was launched in 1995. It was supposed to be there for five years, and it worked for almost seventeen years. RADARSAT 2 was kind of the follow up of that. It is a different model, but it was launched in 2007. It started operation in 2008. It is still in operation today. And now to be sure that, like I mentioned previously, there is no gap in the data influx, we started to develop RCM in 2004 when we received authority from the government to work on it. Now it will be launched later this year to ensure that continuity. Q: How many people are involved in making this a reality? A: For the RADARSAT Constellation Mission, at the peak time, there were more than three hundred people working on the project. That is a lot of people, but it is a really complex project. There are three satellites, compared to the previous missions which had only one big satellite. Now we have three. So it is adding a complexity, because we have to build the three in parallel to be sure that they will be ready almost at the same time. Q (Mr. Peter Ray): Are they all ready to be launched? A: Now, the three of them are already in California. They have completed the work on it. Q (Ray): So they are being launched in November? Is that going to change? A: Right now, the official date we have is still in November. What we did not get from Space X is a narrowing window of one week. So we are still waiting for that. But right now the information that we have is still in November. That is the official date. Q: So, to bring it back to the students at John Abbott, why should they care about RADARSAT? How is it relevant to them? A: It is not only RADARSAT. I think it is all the tools that are there in Earth observation mainly to help us understand our planet. So all the phenomena that are ongoing, especially connected to climate, especially right now with all the climate change. So we need to understand how it works. We were lucky earlier this week to have Michael Freilich from NASA, the director of Earth Science at NASA. He will retire soon but he made a presentation to us and he showed us an animation where you have global information about precipitation and on the other side you have information coming from other sources about soil moisture and salinity, and when you mix both together it helps you understand how the climate is working. So RADARSAT is one of the tools that contributes to all that information. For sure it has been designed to mostly meet the needs that we have in Canada. Each national mission mostly works like that. So RADARSAT is set up to do ship monitoring, ice monitoring and agriculture for crop inventory. But in addition to helping Canada, the data is also used to help support this understanding of our planet. Q (Ray): Is it used for GPS too? A: Uh, no. No, but you are using GPS to put the data in the right place, to combine all the information. What we have on RCM that we had before is called AIS, which means Automatic Identification System. So each ship of over three hundred tons has to carry this transmitter. It is mostly for security. We can capture that signal from satellites. So, on RCM, each satellite will have this receiver of AIS signals so when you mix both the radar image and the AIS signals, you are able to identify if a ship is correct or not. Sometimes it could be a problem with the system, but sometimes the AIS could be turned off voluntarily and therefore a problem because they don’t want to be seen. So if you are able to capture a ship on an image but you do not have any AIS signal, that might be kind of a sign that something illegal is going on. So that AIS helps either coastguard or even the national defence to limit the size of the area they want to monitor. Q: For any students that would be interested in this type of work, what would you recommend as a path to follow to get involved? A: Well, sometimes you look at satellites and you say, ‘oh, it is mostly for engineers’. So do not limit it to that. I am a perfect example. I have a Master’s in science, in geography, so I do not know a thing about engineering. But, I was fascinated by space and the images coming from space. So, there are so many fields now that could be worked related to Earth observation, to other types of signals from satellites. Be open. Even if you do not study in engineering, I think there is plenty of space for students who want to work in this field. And for sure, most of the time, I can see that people are working in this area because they have really a passion for space. And that is the case of most people at the CSA. Even people from accounting or finance, human resources, they all have some passion related to space because it is kind of contagious at some point when we talk about it. A: Exactly. Do not limit it at astronauts. At some time, the most we see from the agency are mostly astronauts, but there are a bunch of other activities that are going on related to space. Q: Do you see a long future for the RADARSAT missions? A: Oh, yeah. I think so. Like I mentioned now, it is becoming an operational system. So at some point you will have to be sustained with time, and we see this with our colleagues from the European Space Agency and the European Union with their Copernicus Mission. The Copernicus Mission has a very long-term view and they ESA have a replenishment plan for their satellite to make sure that there is no gap. It is the same in the U.S. and I think we are going there for Canada as well.